NEW YORK (September 18, 2013) – Ruby & Jack’s Doggy Shack selects boutique public relations firm Whitegate PR as their agency of record. Whitegate PR specializes in the pet industry and is customizing a local marketing outreach campaign to bring Ruby & Jack’s Doggy Shack to neighborhood pets and their parents. Ruby & Jack’s Doggy Shack is a home away from home for beloved pets located in the Upper East Side. With services including play and slumber care, cat boarding, grooming, training and more, Ruby & Jack’s Doggy Shack creates a special home for pets. Pet owners today will go above and beyond to make sure their animal companions are happy, safe and taken care of at all times. Living in a city like Manhattan can be a challenge because of the fast-paced and busy lifestyle pet parent’s encounter on a daily basis. Ruby & Jack’s Doggy Shack offers a safe, fun, and unique environment for city pets; providing them with the best services given by a professional, experienced and pet-loving team. 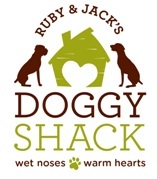 Ruby & Jack’s Doggy Shack started with a dream to open and operate a first-rate, loving dog and cat facility that would honor the memories of Ruby (Boxer) and Jack (Vizsla). It is a tribute to loyalty, companionship and dedication, a place that honors their memories by creating an environment as special as they were. Founders, Michael Friedenberg and Aaron Tropp have a genuine understanding and respect for pets and their owners alike. They have a true passion for animals and have been inspired and motivated in their career as a result of their own personal pet bonding experiences. Michael and Aaron bring many years of experience in the care of pets to all aspects of their services and facilities. They have an open door policy with all clients that encourage pet parents to ask questions and to give suggestions. About Ruby & Jack’s – Here at Ruby & Jack’s Doggy Shack—a place for pets filled with wet noses and warm hearts—we are dedicated to providing first-rate care for dogs and cats on Manhattan’s Upper East Side. We bring our many years of pet care experience and our passion for pets to each specially-created service we offer, from the design of our facilities to the training of our staff. Ruby & Jack’s is a home away from home for your pet, a special place for New York’s dogs and cats to play and stay. After all, we are not only pet caregivers but also pet parents, so we understand the demands placed on pet parents in New York. With services that include doggy play care and slumber care, dog walking, dog training, cat boarding, grooming, transportation, and more, Ruby & Jack’s makes pet care easy, providing the services you need when you need them. With our help you and your pets can truly have it all! Learn more at http://www.rubyandjacks.com.